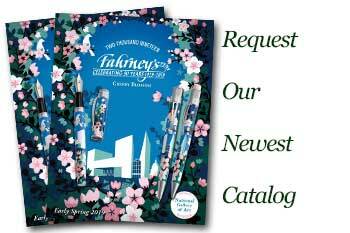 Order your Visconti Daedalus Fountain Pen today from FahrneysPens.com. Fine Pens, Refills & Luxurious Gifts – great prices & fast shipping. Daedalus comes from the Greek word 'daidala' which refers to finely crafted objects and is the origin of Visconti’s newest creation honoring Greek mythology and Daedalus. Daedalus was an Athenian craftsman famous for his ability to invent and build things. He was banished to the island of Crete, where King Minos commissioned him to build the Labyrinth on Crete, in which he kept the Minotaur, the half man, half bull creature. In the story of the labyrinth as told by the Hellenes, the Athenian hero Theseus is challenged to kill the Minotaur. Daedalus and Adriadne, King Minos’ daughter, help Theseus and give him a ball of yarn to help him trace his passage in the Labyrinth. Theseus kills the Minotaur and followed the string back to escape the Labyrinth. The Daedalus uses Visconti’s well known skeleton technique and the sterling silver filigree is hand cut and overlaid to show the famous labyrinth and head of the Minotaur on the pen’s body. The process to hand chisel and finish each pen takes several days and the final result is truly a work of art. 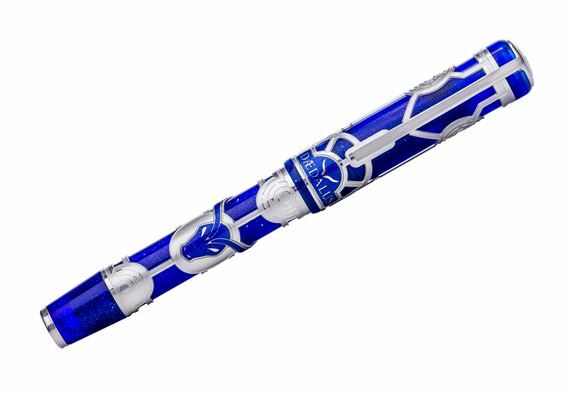 The translucent blue resin has been specially developed by Visconti experts and includes sterling silver dust to give the effect of the star draped sky overseeing the labyrinth landscape. 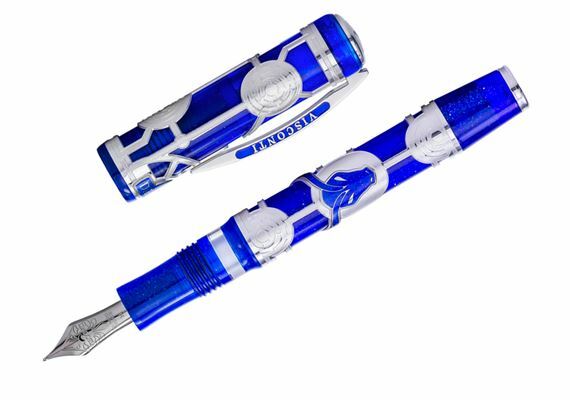 The Visconti clip and logo on the cap feature matching royal blue enamel. 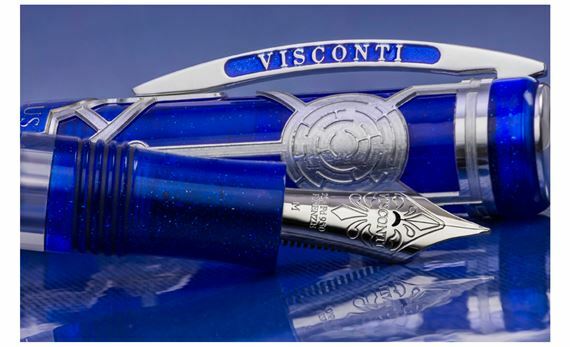 The fountain pen has Visconti’s famous double reservoir filling system and features a large 23kt Palladium Dreamtouch nib that is amazingly flexible for superb response and a unique Pull & Turn filling system. Limited to 388 numbered fountain pens and rollerballs. Bottle fill only.